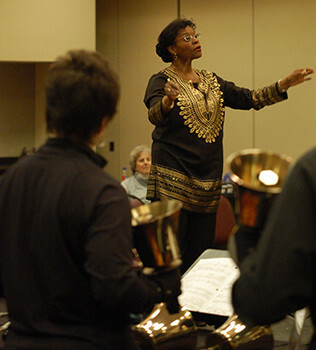 The Handbell Musicians of America Certification program is a comprehensive curriculum designed to provide training and experience at all levels to handbell musicians. There are three levels of Certification. This certification can help me in two distinct ways, both internally and externally. Internally, certification helps me in my ringing and directing on a weekly basis. It impacts how I ring, analyze, prepare, and direct on a regular basis. Long range and externally, I can use this certification to show my education and background to future employers. It is one thing to show a school that I have rung and directed for many years – but it adds that certified qualifications with my Handbell Musicians of America certification. Earn credibility and respect in your field. Demonstrate your commitment to your profession by staying up to date. Any handbell musician (not just directors!) who is a member Handbell Musicians of America, or belongs to a member organization such as a school, church, or community group. Not a member? Join here! There’s no time limit for completing the Certification classes and your Handbell Musician Certification is valid for life. Enroll at www.handbellmusicians.org — you’ll need your member number and logon information for that account. You can begin immediately with Handbell/Handchime History online! Check out the class schedules here. You can see what courses you’ve completed by logging into the account you registered for Certification in, and then under “What would you like to do?” choose “My Registered Events.” Find “Handbell Musician Certification” and select “Details” (on the right side) to see your certification record in a pop-up window. (You might have to scroll down in the window.) Any class that has been successfully completed will be listed. If a class is not listed, then you have not yet passed that class. If you have questions about your status, contact Vickie Iverson at the National Office for assistance. I want to continue to grow and learn skills to become a better director. Every ringer in Northern Lights Ringers would probably tell you I have become a better director — the before and after of Caroline Valentine as handbell director is a sharp contrast.